This week I have been in lots and lots of interviews with students who are hoping to become Orientation Leaders. I can’t help but think back to years ago when I was that student nervously waiting to go into an interview to make my case and earn my spot on the orientation staff. I sat in the lone chair in the tiny hallway outside of the interview room trying my best to not look (or feel) nervous. Apparently I wasn’t doing a very good job because one of the student workers (who was on the staff when I came through orientation) walked by and paused for a second before asking me if I was waiting for an interview. When I said yes, he asked if I was nervous. I decided to go with honesty and said “A little.” His response: “Yea. You should be.” Then he walked away. Not the best conversation to have right before going into an interview. But apparently it didn’t throw me too much, because I got the job. I was so excited when I opened that letter that said I had been selected to be a Double T Crew member. I knew it was a job that would be more fun than work, but I had no idea what that summer would mean to me. If I hadn’t pushed myself to try for that job, even though I was only a freshman, I would never be where I am today. I probably wouldn’t have ever gotten my master’s degree. Or met some of the people who are my dearest friends and stood by my side on my wedding day. As I sit in on interviews now, I can’t help but wonder what this job could potentially mean for the students we choose. Yes, it will be a major part of their summer, but I know all too well that it can turn into a major part of their life. And as I think about that, I smile… not only for them, but for that girl in the tiny hallway years ago who had no idea what that interview would mean. I am so glad you found a career where you can use your gifts and talents so well. Proud of you!! Jenny! You were so great for DTC! I am the same way about not knowing what it was that I said or did that got me selected, but I am just so very thankful. We are both so fortunate to have had that experience. 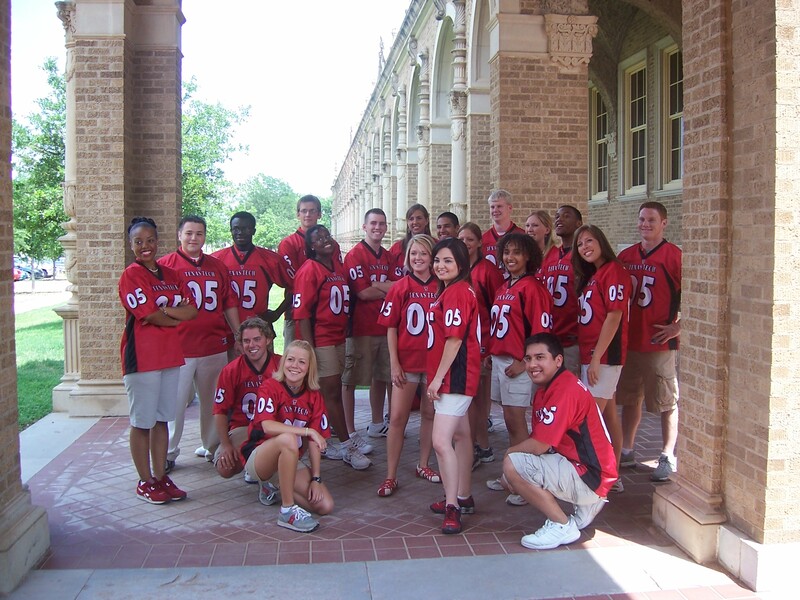 Being an orientation leader is why I ultimately become an advisor! I remember my second interview. I was sick, but I was too excited to miss the interview. So when I came in the door, I told everyone I was recovering from an illness, so I didn’t want to shake their hands. I wasn’t sure if I made a good first impression, but I guess I did, because I got the job! It’s so interesting how it has had such an impact on so many of us!! And no worries about not shaking hands – it just shows you’re considerate of others!